A step in the right direction for Tesco? We have decided that in order to measure the amount of plastic we use in our day to day life we need to live a normal week without all the plastic reducing ideas. So as I normally would, I ordered my groceries online from Tesco yesterday evening. I was surprised to find that for the first time that all the fresh fruit and vegetables were delivered in paper bags. Unfortunately I then found that the goods inside were packaged in plastic! Close Tesco, but still too much unnecessary plastic packaging! It will be interesting to see how big the difference will be shopping at local stores and implementing plastic dodging tactics over the next few weeks. It’s so frustrating when you buy things online and they arrive in masses of plastic! Especially when for whatever reason online is your only option. 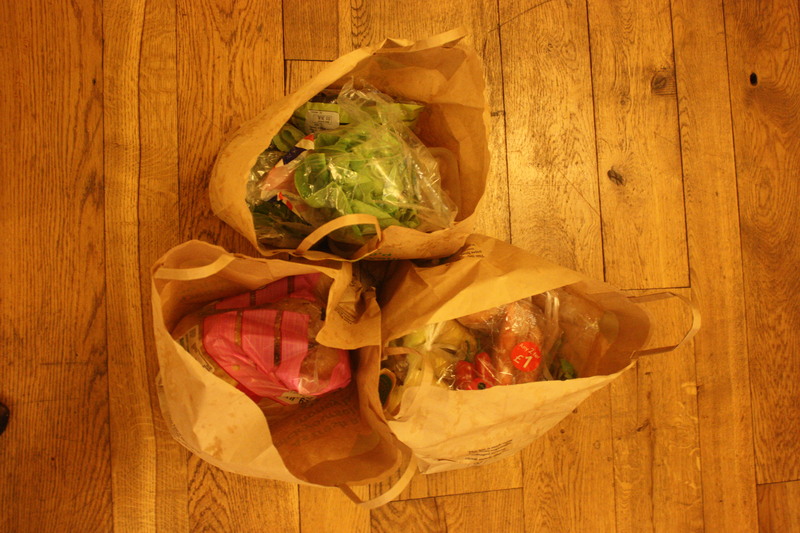 Especially when there’s no need for it – but fair play to Tesco cutting down on carrier bags! Feel free to send us any pictures of your experiences with unnecessary plastic or alternatives you find and we can put them up alongside ours.